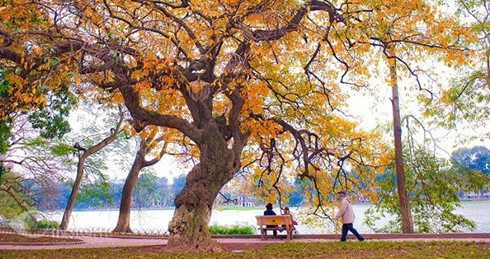 Travel companies know this and have been designing tours to fantastic autumn destinations in the Northern mountainous region, the Central Highlands and the Mekong Delta. Sa Pa in Lao Cai province, where terraced rice fields attract photographers and travelers, Tu Le in Nghia Lo town, Yen Bai province, are among destinations for those who want to enjoy spectacular paddy fields on the sides of hills in the Northeastern region. In Yen Bai Province’s Mu Cang Chai, a paragliding festival will be held within the Muong Lo Culture and Tourism Week with terraced rice fields in Mui Cang Chai and native Xoe dance as highlights. The buckwheat flower festival will take place in Ha Giang Province from October 14-16 in Dong Van district, with activities also in Quan Ba, Yen Minh and Meo Vac districts. Tourists can see traditional dances and traditional houses from ethnic groups, especially the mansion of the Vuong family, the King of the H’mong ethnic in the past. In the Central Highlands, autumn is the blooming season of Da Quy flower (wild sunflower) while this time of the year, the Mekong Delta appeals to tourists with the allure of water penetrating every corner of the region.